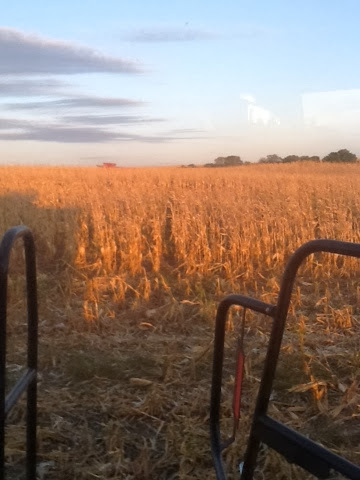 Corn harvest will be over today! (Big relief!!!!!) All the soybeans and grain sorghum are cut and delivered to the grain elevator. It is time to relax for a little bit. I wanted to do a post about corn like I did with It's a Bean World Out There. We use a 12 row corn header. Redbeard lines the sections on the corn header up with the rows of corn. The plants enter into its own section and teeth grab the ear off the stalk. 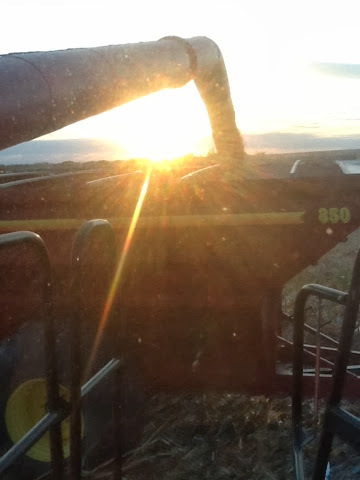 The ear enters the combine and the trash flies out the back. The grain piles up in the combine bin. Corn is used in a wide variety of products. Products such as ethanol, plastic, toothpaste, makeup, shampoo, and diapers. Food products like gum, salad dressing, yogurt, and milk contain corn components. Corn products are everywhere! 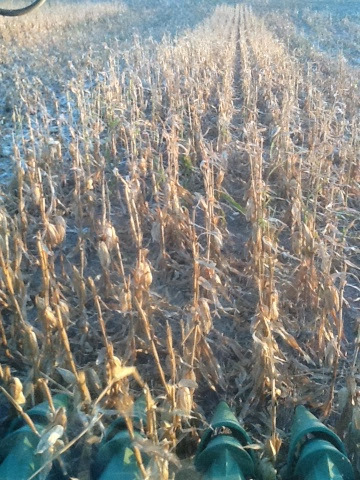 Corn harvest is over for this year. (Can I get a WooHoo!!!!!) Harvest is a beautiful time of year, but sometimes it has gone on long enough. Sometimes we act a little corny by the end of the season! For over 40 Years, Bish Enterprises has been providing innovative agricultural products, serving farmers and dealers that serve farmers, harvest the crops that help feed America. Fall harvest is almost here!